Introduce, reinforce, and test your students’ knowledge of cell structures and their functions with these fun and easy to use manipulative models. Using Velcro, students can attach organelles to the cell as they discover the fascinating complexity of plant and animal cells. 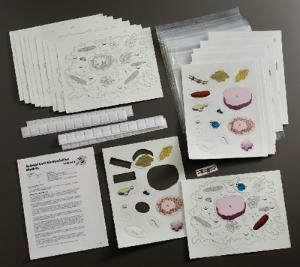 Each model set comes with ten laminated cell sheets and ten sets of organelles, as well as a teacher’s guide with suggested activities.